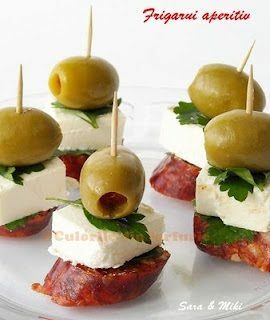 Easy peasy appetizer! 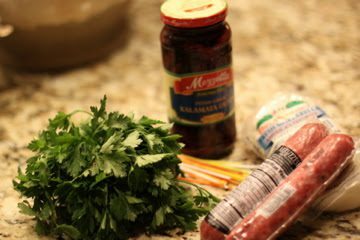 On a toothpick, layer good Italian sausage (I love abruzzese! 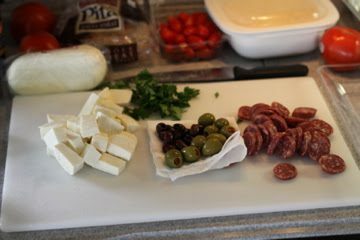 ), fresh mozzarella, a sprig of Italian Parsley and top with either a large green olive or kalamata. Another alternative is a Caprese Stick. I’d leave off the sun-dried tomatoes though – too chewy I think for the skewer. 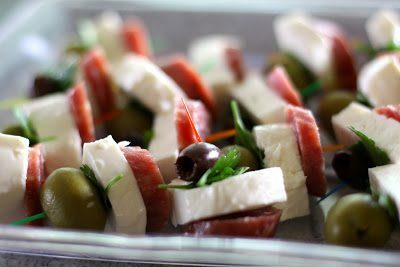 Pierce a basil leaf, cherry tomato, sun-dried tomato half, and a mozzarella ball with a toothpick (arrange in whatever order floats your little boat). Repeat until you have 12 Caprese sticks. Drizzle olive oil and sprinkle sea salt over the Caprese sticks. Serves 4.